Q. How did you feel about your performance today?RAFAEL NADAL: Really normal. I believe that I played a really normal match, nothing special. Nothing very bad, but nothing very good. So just, yeah, normal. That's it. First match on clay after long time, first match after 15 days without touch a racquet, just practicing five, six days. So is happened the normal thing and most important thing is I won 6 4, 6 3 in straight sets. Tomorrow I have another chance to keep improving, and that's what I'm going to try. Q. The sensations were pretty good with everything?RAFAEL NADAL: We'll see, no? We need days to see how all the sensations improve: the knees, the tennis, everything. When you stop for 15 days without practice, physical performance, practice tennis, your body lose a little bit the performance, no? That's something usual. I need practice, and today was a good practice. Tomorrow going to be another tough match against a player who is dangerous. We'll see what's going to happen. Q. When you have an injury, how long is it usually for you before you can push it 100%, especially with your knee? RAFAEL NADAL: The problem is in this sport normally you don't have time. But if happens when you have one month, and you can practice one week and a half, two weeks before a tournament, is not a problem. Two weeks are enough to practice good physical performance, practice hard on court, then the competition. You always need the competition to arrive to the top, no? But in this case I had very short period of time and start one of the most important part of the season for me, so I know that I have to be ready, no? I try to go faster than usual on the recover when you have the problem on the knee to try to be competitive here, and that's what I tried. We'll see if the effort work. Q. Did you feel you had to be more careful, more cautious?RAFAEL NADAL: I don't think that when I'm playing. I think about the ball. That's enough work for me. And, seriously, I said all day, you know, I feel that I can play with no limitations today. The knee is still there, but is not without impediments to run at every ball. But we'll see. We'll see what's going. Q. Dolgopolov/Djokovic is the sort of match you would like to watch?RAFAEL NADAL: Normally is strange. Normally is strange to play against Dolgopolov. We'll see. Can be a good match; can be a not very good match. I think Dolgopolov is a funny player, but at the same time he can play at very high level. I played against him few times. Doesn't mean that you play against Dolgopolov will be a funny match because sometimes you go out of rhythm. Can the match become too crazy sometimes. But surely Dolgopolov is inspired and he's playing his best. He's kind of player that is dangerous to play against him. We'll see. Q. Was it particularly breezy out on the court today? RAFAEL NADAL: Windy? Q. Yes.RAFAEL NADAL: Nothing crazy. On the sea, the sea is in very bad conditions today. But to play tennis, now looks a little bit worst. I saw the David Ferrer match now looks a little bit worst than when I played. But nothing very bad, in my opinion. I played here in very tough conditions. Q. 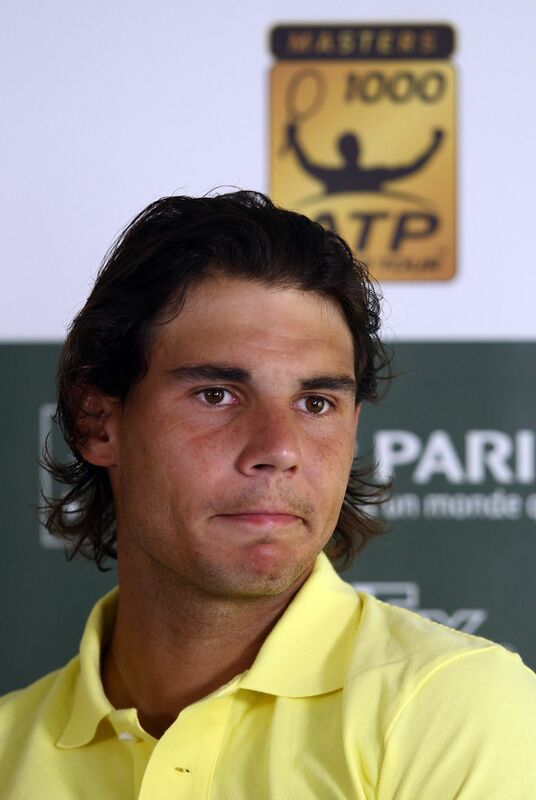 Have you seen the match of David?RAFAEL NADAL: I saw just few games. Nothing. I don't have a really right opinion. I didn't see enough to have an opinion about the match. But sad for him. He's having a fantastic season, so you cannot expect to play your best tennis in every tournament, no? He had a great tournament in Miami, Acapulco, lot of tournaments he play. Auckland, Australia, he had amazing performance, too. Is something that can happen. He had a very bad draw, in my opinion. First round against Bellucci is one of the rounds you don't want to see here. And that happen. But the short period of match that I watched, Bellucci played very aggressive, very hard with his forehand, and was tough to stop him. He has a very good serve and he hit the ball very heavy. Is better to play this match when you have three, four matches in your shoulders on clay, not the first day, and when he already has a match. Q. What did you think of Real Madrid last night?RAFAEL NADAL: Was a positive result for us. Last goal was at the last minute, 19th. If you see about the result, I think is nothing negative, no? We'll see. In my opinion, Real Madrid did a good match. Another thing is we scored with 1 1, my opinion we didn't have enough, I don't know, possession of ball. When we scored 1 All, we needed in that moment, because that was the moment I don't know how to say to stop the match, have control of the match, have the ball, try to make goals. But we didn't have that chance. Finally had a few opportunities, and we were a little bit unlucky in the last minute. But I feel confident we will go fine.